Blue Origin has pulled ahead in the suborbital space race with an unexpected, successful test flight of its New Shepard rocket. It’s notable that Blue Origin continues to make progress despite being rejected by NASA’s Commercial Crew program. The mantra heard at the Space Frontier Foundation’s NewSpace conference says that the debate between government and commercial space is over — the only correct way to go into space is through “public-private partnerships.” This flight shows that the debate is, in fact, far from over and private enterprise should not be counted out. The question now is how quickly Blue Origin can turn New Shepard around between flights. The key to low-cost operation is achieving a high flight rate. With luck, we will see many more flights of New Shepard beginning in the very near future. Reno, Nevada – Citizens in Space, a project of the United States Rocket Academy, and Starbase Operations LLC have successfully completed a series of flight tests that will help advance commercial spaceflight training. Over the past several months, Citizens in Space and Starbase Operations have developed and tested a technique to simulate the landing profile of the XCOR Lynx spacecraft using an L-39C Albatros jet trainer. During the test flights, pilots configured aircraft controls to achieve approach angles and sink rates similar to those of a Lynx spacecraft. The test approaches were conducted at an abandoned military air field in Nevada. During the Space Shuttle program, NASA modified a Grumman Gulfstream II business jet to fly simulated Shuttle landing profiles for astronaut training. 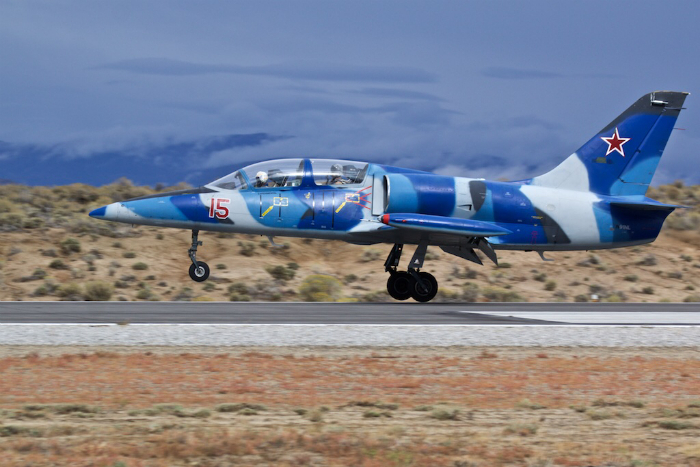 The flight tests showed that the L-39C can perform similar training missions for the Lynx spacecraft. Pilots for the test flights were Major Erik Anderson (USAF-ret.) and airline Captain Bob Ray. Anderson is an Iraq War veteran and an engineer-pilot for XCOR Aerospace. Ray is a Boeing 737, 757, 767 captain for a major airline and a US Navy veteran who served as an A-4 Skyhawk squadron pilot, service test pilot, and instructor pilot. 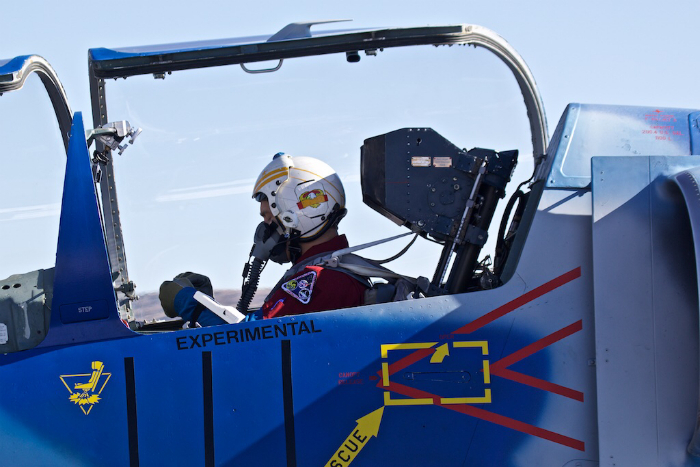 He is one of the few American pilots to hold type ratings in both the L-39C and MiG-21 aircraft. Science mission specialists, flying in the rear seat, were Edward Wright, project manager for Citizens in Space, and Dr. Justin Karl, chief payloads officer for Citizens in Space. The two mission specialists operated onboard experiments to collect biomedical data and test new wearable-electronic hardware developed by Citizens in Space. The first flight test was conducted on Friday, July 24, with Anderson and Wright as flight crew. During that flight, Citizens in Space also tested a Hexoskin “smart shirt” manufactured by Carre Technologies, recording biomedical data including EKG, respiration rate, and respiration volume. The Hexoskin shirt is one of several biomedical sensor devices Citizens in Space is evaluating for potential use in biomedical experiments to be flown on the Lynx spacecraft. 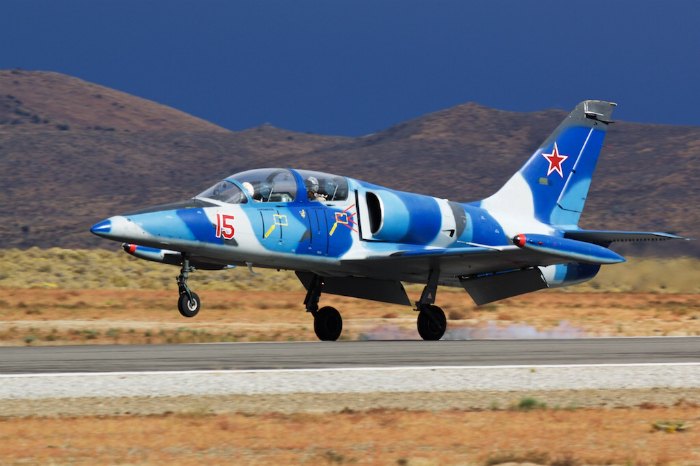 The L-39 was built in Czechoslovakia by Aero Vodochody as a military trainer for Eastern-bloc air forces. The aircraft was imported into the United States and modified for air racing. It was flown in the National Championship Air Races by Captain Robert “Hoot” Gibson (USN-ret. ), former head of the NASA astronaut office, and later acquired by Starbase Operations LLC, the current owner/operator.